The review product must be sent to me free of charge and will not be returned after the review is finished. Once I receive the product I will post the review within 4-8 weeks. The review will be emailed to the sponsor so they can promote it however they choose. I do not write negative reviews. If I am unhappy with a product or company I will contact the company or PR agency so we can assess the situation. The prize must be sent directly to the winner from the company or PR agency. Giveaways generally last between 2-3 weeks and all winners are to be chosen at random. The giveaway will be promoted on twitter and Facebook as well as several giveaway linky's, blogger groups, and giveaway promoting websites. I will also email the link to the sponsor so they can promote it however they choose. 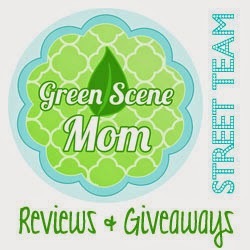 If you are interested in having a sponsored or pre-written post featured on Trying To Go Green please contact me so we can work out an arrangement that suits everyone involved. Ad space is always available! I currently accept button/banner ads as well as text links. Contact me for details.